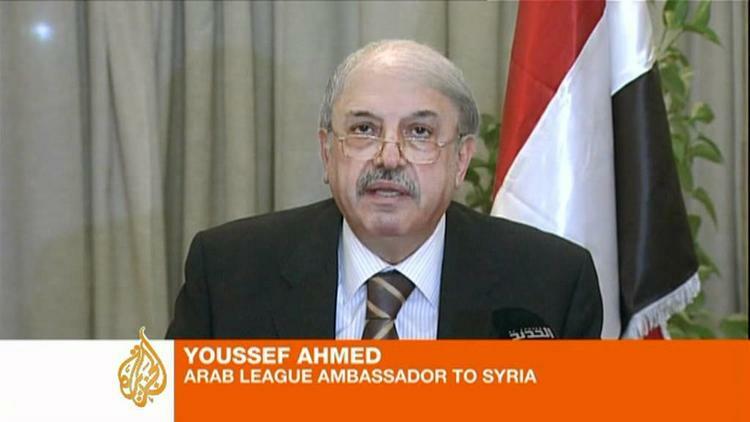 The Arab League initiated the suspension of Syria’s membership on Saturday, giving Damascus three days to cease shooting down Syrian demonstrators or else the country would be isolated, with AL members withdrawing their ambassadors and Syria losing its voting rights in the body. This step is the second taken this year by Arab League states against a member. In March, they called for the United Nations Security Council to impose a no-fly zone over Libya after the regime of Muammar Qaddafi deployed jets to attack civilian cities that had defied him, as Agence France Presse and Aljazeera among others reported. Some Libyan pilots defected to Malta rather than follow Qaddafi’s orders to bomb Benghazi, but numerous eyewitness reports show that other pilots followed those illegal orders, which were war crimes. The government of Syria’s president Bashar al-Assad had agreed on November 2 to pull troops out of cities where major protests were being held. Since then, according to Human Rights Watch [pdf] , Syria has killed one hundred demonstrators. On Friday, the regime killed some 30 protesters, suffering the loss of 26 soldiers to militants in the process. Eighteen of the 22 Arab League members voted for the measure. Lebanon and the Yemen voted against it, and Iraq abstained. Syria seems not to have gotten a vote. Likely the decision to suspend Syria’s membership in this way was driven by two major considerations. Egypt, Tunisia and Libya now lead a pro-democracy, pro-civil rights bloc within the Arab League. The new governments and their people view Bashar al-Assad as a clone of overthrown dictators such as Egypt’s Hosni Mubarak, and they want him gone. 1) Largely Sunni Arab countries are receiving strong pressure from their own citizens to do something about the minority Allawite regime in Syria shooting down Sunni protesters. (This depiction of the situation is an over-simplification, but many Jordanians, Saudis and Moroccans believe it). 2) Syria is Iran’s major ally in the Arab world, though Iraq is increasingly close behind it in this regard. The Gulf Cooperation Council Arab states (Saudi Arabia, Kuwait, Qatar, the United Arab Emirates and Oman) are alarmed by the rise of Iranian influence in the Arab world, and so would have voted to expel Syria so as to weaken Iran. The flip side is that Iran’s other allies in the Arab League either voted against the measure or abstained. Pro-Regime mobs attacked the Saudi and Qatari embassies in Damascus when the decision was announced. The step does not have much real teeth, but it is an important symbolic action, and will further isolate Syria in the world community. Bashar al-Assad should take a lesson from Libya.